The 2018 Mercedes-Benz CLA four-door coupes are some of the most exceptional vehicles on the market today, offering a wide range of luxurious and opulent amenities, as well as a fantastic powertrain that provides a powerful, yet smooth, ride. This model year, the 2018 Mercedes-Benz CLA2 50 and AMG® CLA 45, on sale now in Springfield, Missouri, remain largely unchanged from the previous year, carrying over a truly impressive list of features that drivers have come to love. Want to know more about the 2018 Mercedes CLA? Keep reading below! 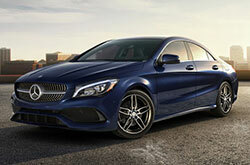 Mercedes-Benz separates its CLA of vehicles into two models: CLA 250 and AMG® CLA 45. Looking first at the CLA 250, drivers who choose this model of the four-door coupe will find top-notch interior and exterior amenities like 17-inch wheels, dual-zone automatic climate control, selectable drive modes, automatic wipers, simulated leather upholstery and 60/40-split folding rear seats. Technology-wise, the luxury coupe gets an 8-inch infotainment display screen, Bluetooth® connectivity, the automaker's mbrace® emergency telematics system, a rearview camera and the COMAND® infotainment system. If you're looking for the most power out of the coupe, as well as a plethora of sport features, then most 2018 Mercedes-Benz CLA reviews suggest the AMG® CLA 45, which comes with 19-inch wheels, a sport exhaust system, a torque-vectoring differential, more aerodynamic embellishments and a sport steering wheel. Both models are powered by a 2.0-liter turbocharged four-cylinder engine that is paired to a very capable seven-speed, dual-clutch transmission. The output offered on the 2018 Mercedes-Benz CLA 250 in Springfield is a healthy 208 horsepower and 258 lb.-ft. of torque, while the AMG® CLA 45 gets a huge bump in power, producing 375 horsepower and 350 lb.-ft. of torque. A front-wheel drivetrain is standard the CLA 250, while Mercedes-Benz's 4MATIC® AWD system is standard on the AMG® CLA 45. 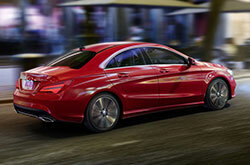 CLA 250 drivers can choose to add the AWD system on the coupe, if they so desire. Many 2018 Mercedes-Benz CLA reviews have praised the coupe's wide range of top-of-the-line safety systems. Standard features on the CLA 250 include eight airbags, adaptive braking technology, an electronic parking brake, stability and traction control, and an ATTENTION ASSIST® system that monitors drivers for signs of drowsiness. The AMG® CLA 45 adds to this with Active Brake Asist, LED exterior lighting and more optional advanced systems like Parking Pilot and Distance Pilot DISTRONIC®. Visit us now at Elite Automotive Group to test drive both of these excellent luxury cars available right here on South Campbell Avenue! 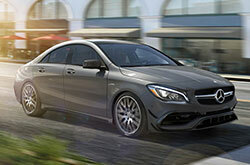 The Mercedes-Benz CLA Is Finally Here! Don't just look at the 2018 Audi A3, Acura ILX and the BMW 2-series when looking for a new car; also remember to take a look at the 2018 Mercedes-Benz CLA near Springfield. 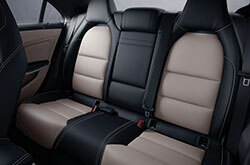 You may realize that its sleek exterior styling and cabin amenities are just what you in a daily driver. 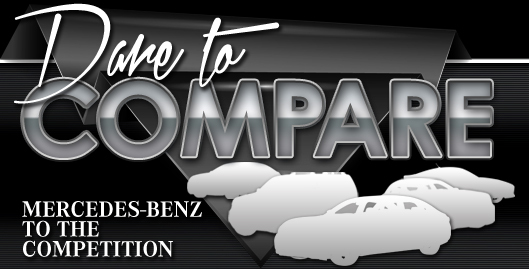 After using our 2018 Mercedes-Benz CLA review and compare page, view up-to-the-minute exclusive dealership offers online! When you visit our Mercedes-Benz dealership, you'll find offers on a truly expansive assortment of new and late-model-year used cars, including offers for the sought-after Mercedes-Benz CLA. We hope our extensive 2018 Mercedes-Benz CLA review helped you find the specs you need to make a confident buying decision. 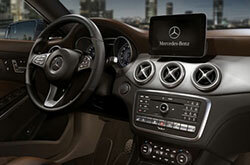 Stop by Elite Mercedes in Springfield and view the stately Mercedes-Benz CLA personally. Take a look at the embedded video walk-around to see its interior features before you visit!